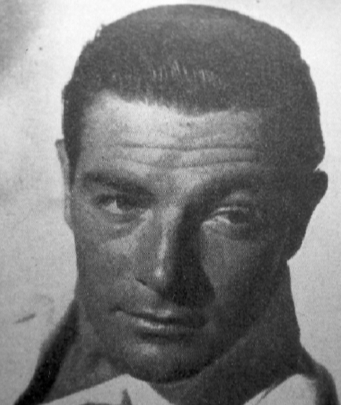 Arthur Devlin was an excellent four event skier in nordic and alpine sports. He was a member of the Olympic squads in 1948, 1952 and 1956 and played a key role in the successful bidding and hosting of the 1980 Olympic Winter Games. Arthur was born in Lake Placid, New York on September 7, 1923. He attended Syracuse University after graduating from the Lake Placid School system and was a long time member of the Sno Bird Ski Club of Lake Placid. Devlin’s interest in skiing began in 1927 when, at the age of four, he first put on a pair of skis. Lake Placid, with the Olympic hill at Intervale and the slopes of Whiteface Mountain, were perfect for stimulating his interest in ski jumping and alpine skiing. The world’s best ski jumpers competed there annually. Devlin was a four event skier but is far better known for his expertise on the big jumping hills. He was the National Ski Association’s Class “A” National Jumping Champion in 1946 at Steamboat Springs, Colorado. Art won the Paul Bietila Memorial Trophy, recognizing the highest-placing American in the National Ski Association’s National Ski Jumping Meet, on four occasions: 1942, 1944, 1949 and 1950. He was also named to the “All American Ski Team” in 1944 as a four-way competitor. He served in the military during World War II, receiving the Distinguished Flying Cross and the Purple Heart for the 50 missions he flew in combat. Following the war Devlin was named to the United States Olympic teams (1948, 1950 1nd 1956). He was injured for the 1948 Olympics and placed twenty-fifth overall. Devlin was one of the organizers who brought the Olympics of 1980 to Lake Placid. He served on the organizing committee during the construction process as well as the running of the games. He was internationally known as a television sportscaster and television color man as the “voice of ski jumping” for over two decades. He lived in the Lake Placid area where he owned the Art Devlin Motor Inn. He died there on April 22, 2004. Art Devlin was elected to the U.S. National Ski Hall of Fame in 1963. If you notice any errors or inconsistencies in Arthur Devlin's bio, click here to let us know.